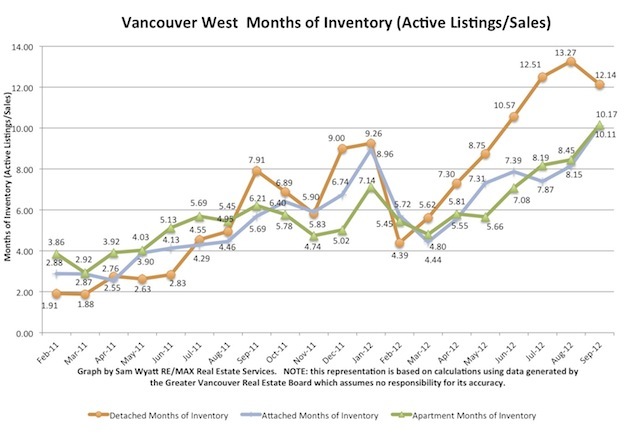 For the first time in over 6 months, the Months of Inventory (MOI) metric for Westside Vancouver houses dropped slightly. It had risen from 4.39 in February to 13.27 in August and in September sat at 12.14. The big news for September is that both attached homes and apartments rose again, now to over 10 months of inventory.